Texas A&M University System Chancellor John Sharp recently announced the formation of a new A&M system center to address multiple water issues in and develop solutions for Texas. 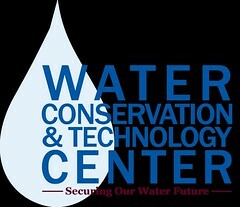 Texas AgriLife Research, Texas AgriLife Extension Service, Texas Engineering Experiment Station (TEES) and Texas A&M University–San Antonio are collaborating on the development of the Water Conservation and Technology Center, which will support high priority projects that focus on Texas’ water issues. “The state of Texas has a rich history that has always been linked to water—rights, conservation and control. This unique agency collaboration will lead to development of more efficiency and effectiveness in managing this vital resource,” Sharp said. Administered by the Texas Water Resources Institute (TWRI), the center will increase the System’s ability to meet existing and emerging statewide needs in water conservation and technology, according to Dr. Neal Wilkins, TWRI director. “The center will accelerate the development and adoption of new and innovative technologies to solve emerging water problems and meet future water supply needs,” Wilkins said. The center includes a collaborative relationship with TEES through the Texas Center for Applied Technology (TCAT) and will be located at the TEES South Presa campus in San Antonio. Cindy Wall, TCAT executive director, said the center will target its work on four high priority efforts: water conservation, water reuse, groundwater desalination and energy development and water use. “The center will establish a team of scientists, engineers and water professionals dedicated to applied research and development, testing and validation, technology transfer, and training and extension education in these four areas,” Wall said. The center will work with industry, state and federal agencies, municipalities, trade associations, and other research institutions to undertake projects and develop solutions within these four areas. Gov. Rick Perry has appointed Christopher C. Mathewson of College Station to the Texas Board of Professional Geoscientists for a term to expire Feb. 1, 2017. The board licenses and regulates the public practice of geoscience. Mathewson is a regents professor emeritus and a senior professor of geology at Texas A&M University. He is a licensed professional engineer in Texas and Arizona, and a licensed professional geologist in Texas and Oregon. He is a life member of the American Society of Civil Engineers and the Society of American Military Engineers, a fellow of the Geological Society of America, and is a member of the American Association of Petroleum Geologists, the Division of Environmental Geosciences, and the American Geophysical Union. He is also a member of the American Institute of Mining, Metallurgical & Petroleum Engineers, American Institute of Professional Geologists, the International Association of Engineering Geologists, the International Code Council, National Association of Geology Teachers and the South African Institute of Engineering Geologists. Mathewson is also a member of the Council of Examiners of the National Association of State Boards of Geology and participates in the writing and review of the licensure examination for professional geologists. He is past president and former executive director of the Association of Environmental and Engineering Geologists, and is past chairman of the Texas Section of the Association of Engineering Geologists, the Geological Society of America Engineering Geology Division, and the U.S. National Committee for International Association of Engineering Geologists. He is past president of the American Geological Institute and a former trustee of the Geological Society of America Foundation. He also served as a commissioned officer in the National Oceanic and Atmospheric Administration. Mathewson received a bachelor’s degree from Case Institute of Technology, and a master’s degree and Doctorate of Geological Engineering from the University of Arizona.